I've never been a stickler when it comes to adaptations staying faithful to their source material, but lately one particular trend in Hollywood has me feeling a bit, well... conflicted. Maybe I missed a memo, but when did it become acceptable for movies to borrow the titles of popular comic book stories without actually telling those stories? Back when Fox first announced that X-Men: First Class would borrow its title from a 2006 miniseries about Marvel's mutant super team, there was lots of speculation about how the film would match up with the X-Men: First Class comic. Given that most of the characters in the comic (Cyclops, Jean Grey, etc.) 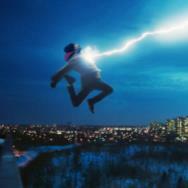 had already received their origin stories in the live-action X-Men movies, the film was expected to make some changes to the original story. But few expected the wholesale reimagining of the mutant team's early years that director Matthew Vaughn gave audiences. In hindsight, it seems like it was a strange move by the studio to co-opt the name of a story that had little – if any – connection to the film, but the warm reception it received from critics and fans alike (despite a poor showing at the box office) seemed to make the dissonance between the comic and the film a nonissue. Its real legacy, though, seems to be the stamp of approval it gave to movies that use familiar titles to tell very unfamiliar stories. At least three upcoming, highly anticipated films now share a title with a well-known story arc from their comic counterparts. 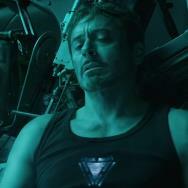 Captain America: The Winter Soldier and X-Men: Days of Future Past arrive next year, while the third, The Avengers: Age of Ultron, is scheduled for a 2015 release. The Avengers: Age of Ultron writer and director Joss Whedon has already indicated that the sequel to 2012's The Avengers will simply borrow the name and primary villain of the recent “Age of Ultron” saga that transpired this year in Marvel's comic book universe. Meanwhile, what we know about X-Men: Days of Future Past hints that it will follow the lead of X-Men: First Class in sharing some of the core elements of its comics counterpart but tweak the narrative and cast significantly. 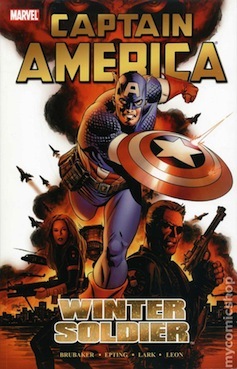 As for Captain America: The Winter Soldier, the film's narrative appears to stick close to that of the comic – although the absence of certain characters (namely, some of the villains) indicates that some big changes will likely occur in the transition from page to screen. Of course, that's all well and good, but it still begs the question: why bother borrowing the titles if you're not going to tell the stories everyone associates with them? From the studio side, it's easy to see the initial appeal. 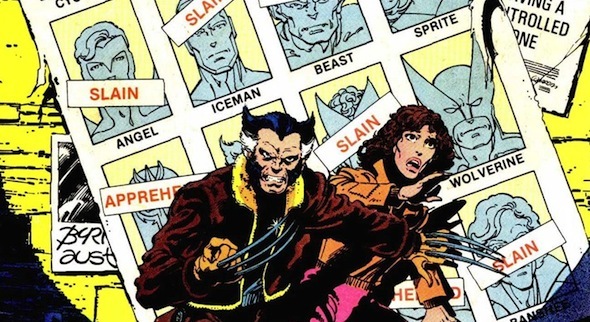 Titles like “Days of Future Past” instantly establish a connection with the film for fans of that particular story, and to some degree it fosters a level of credibility. To reference a great story is to show awareness of that story and (hopefully) some understanding of what made it great, regardless of how closely the film's plot matches that of the comic. Heck, buying a ticket for a Days of Future Past movie could be interpreted as a vote of support for the comic book source material as much as the film itself, and that's almost certainly what the studio is betting on when it “borrows” a popular story's title. 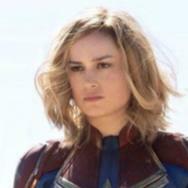 On the other side, though – and this is where I'm feeling a bit conflicted – if there's no effort made to connect the movie with the story it borrows a title from, the studio is simply forging an imaginary connection between the two projects. And that feels an awful lot like the ol' bait and switch. I remember feeling an inkling of that with X-Men: First Class, and I couldn't help wondering how many times in the past it almost happened before getting the green light with Vaughn's film. For example, at some point during the development of Christopher Nolan's third Batman movie, someone had to have suggested “The Dark Knight Returns” as a potential title. Not only would it capture the themes of the final installment of the franchise, but it would also call to mind one of the most memorable Batman stories ever written: Frank Miller's 1986 series featuring an aging Batman coming out of retirement to take down a corrupt government. Although the decision to go with The Dark Knight Rises was a smart one (and you can bet the similarity between that title and Miller's series isn't an accident), I can't help wondering if Nolan's film would've been received as warmly if the studio opted to borrow “The Dark Knight Returns” from DC's comic book universe. If nothing else, the next few years will certainly be interesting when it comes to studios walking that fine line between fan service and mainstream appeal. It's a delicate balancing act, full of potential pitfalls and risky gambles. And the title chosen for a film is only one small part of the greater battle for the hearts and minds of superhero-savvy audiences. In the end, though, the old adage about not judging a book by its cover keeps coming to mind. When it comes to comic book movies, we might all be better off – and a little happier with our theater experience – if we take equal care not to judge a movie by its title. Rick Marshall is an award-winning writer and editor whose work can be found at Movies.com, as well as MTV News, Fandango, Digital Trends, IFC.com and various other online, print and on-air news outlets. He's been called a “Professional Geek” by ABC News and Spike TV, and is still not quite sure how he ended up writing (and talking) about comics, video games and movies for a living. His personal blog can be found at MindPollution.org, and you can find him on Twitter @RickMarshall.